Happy 18th birthday, Jaden Smith! Here's a look at his fast-changing career and much-talked-about looks. 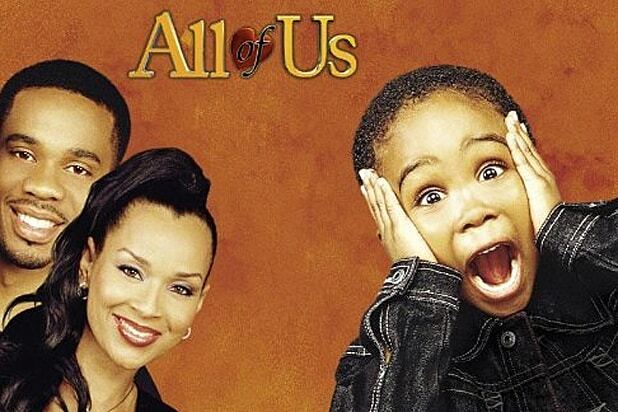 Jaden’s first TV role came alongside his parents Will and Jada Pinkett Smith in “All of Us,” a show based loosely on their family. It premiered on UPN in 2003, where it aired for three seasons before moving to The WB. 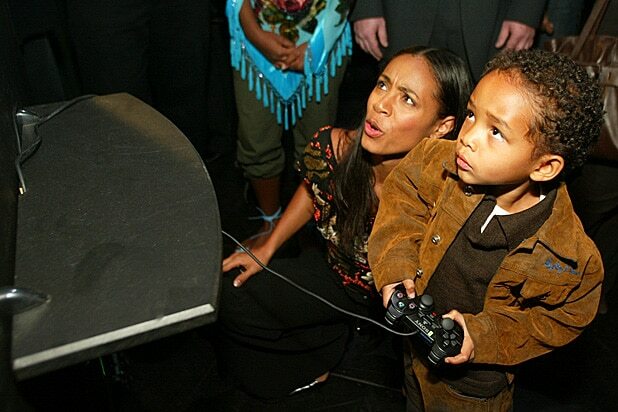 Still very much a kid at heart, Jaden showed off his playful side with mom Jada Pinkett Smith playing the "Enter the Matrix" video game at a screening of "Final Flight of the Osiris" in February 2003. 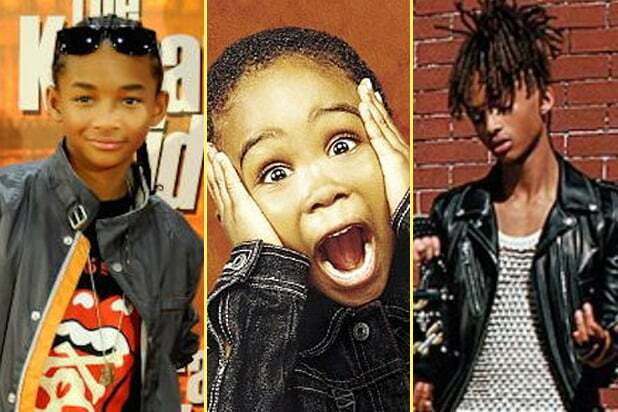 Jaden had his major movie role in the 2006 film "The Pursuit of Happyness" as Christopher, the son of real-life homeless salesman Chris Gardner, played by his father Will Smith. The young actor got to rub shoulders with Tom Cruise and actress Alice Braga, when he went with his dad to the New York premiere of "I Am Legend" in December 2007. The aspiring rapper showed off his music skills appearing on stage at the BET studios during a taping of "106 & Park" on Dec. 14, 2006. A dapper suit and tie with a head of wild curls created Jaden's grown up look for the "Pursuit Of Happyness" Rome Premiere in January 2007. Jaden joined "Little Miss Sunshine" star Abigail Breslin to present an Oscar at the 79th Annual Academy Awards on Feb. 25, 2007. Mixing with A list stars yet again, Jaden attended the New York premiere of his 2008 film "The Day the Earth Stood Still," alongside Keanu Reeves, Jennifer Connelly, Kathy Bates, Jon Hamm and director Scott Derrickson. Jaden's first lead starring role was in the remarkably different reboot of "Karate Kid" co-starring Jackie Chan in 2010, taking over from original star Ralph Macchio. The budding action star was sandwiched between Jackie Chan and snowboarder Shaun White at the 2010 MTV Movie Awards. Jaden hit the red carpet for the premiere of buddy Justin Bieber's concert film "Never Say Never" with his sister Willow in February 2011. "After Earth" may have been slammed by critics, but the Smith family came out in style to promote the sci-fi adventure in May 2013. The father and son team traveled to Truth or Consequences, New Mexico for Colombia Pictures' "After Earth" press junket at Spaceport America. Back supporting Bieber, Jaden jumped on stage to perform with the "Baby" singer during a concert in Los Angeles on Nov. 13, 2015. The teenager had a very PDA-filled visit to New York Fashion Week when he made out with girlfriend Sarah Snyder at the Gypsy Sport show on Sept. 15. In the campaign that relaunched his image, Jaden was revealed as the new face of Louis Vuitton womenswear on Jan. 4, 2016, appearing in ads for the company's gender-fluid line for the spring and summer of 2016. On Jan. 26, 2016, Jaden posted on Instagram a new gender-bending photo of himself, shirtless and wearing a black skirt with a rose tucked behind his ear.